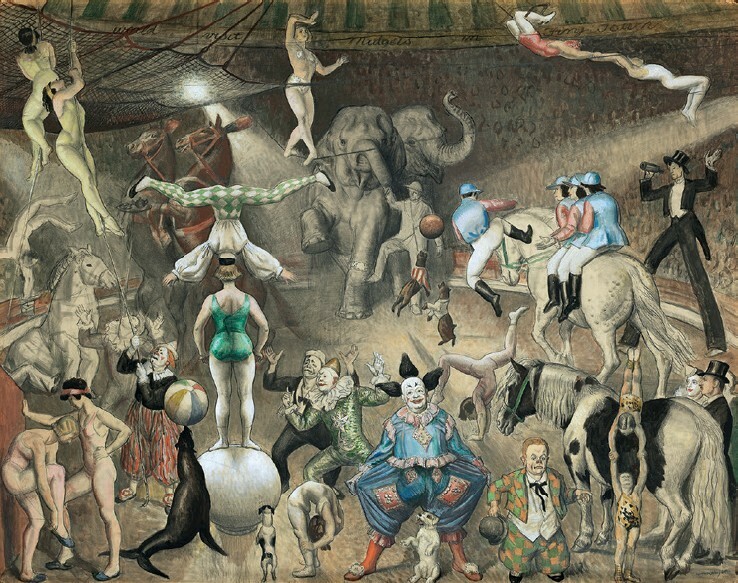 This fully realised study of Laura Knight’s ambitious circus painting Charivari is estimated at £50,000-70,000 at Bonhams’ auction on February 20. A fully realised study of Laura Knight’s (1877-1970) ambitious circus painting Charivari will be offered in a 19th century sale of European, Victorian and British Impressionist pictures at Bonhams New Bond Street on February 20. Charivari – now in the collection of Newport Museum and Gallery – was commissioned by Major Evelyn Atherley and exhibited at the Royal Academy in 1929. The picture, showing an entire circus troupe, is said to have been instrumental in helping Knight to become the first woman elected to full RA membership. She produced the detailed preliminary study to refine and cement the composition of what she herself called “a complicated piece of work”. The signed study was executed in 1928, a year before Knight was created a dame, and has been consigned for sale from a private French collection where it has been for over 30 years.